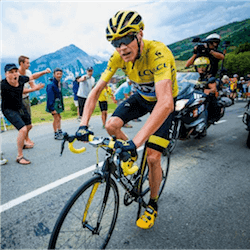 Chris Froome will probably not remember Stage 12 of the 2017 Tour de France as his best yet – because, well, it wasn’t. 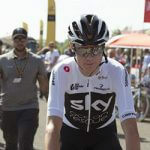 Froome had to give up the yellow on Thursday, and to none other than Italian cycling champ Fabio Aru, after fighting a very slow uphill battle on the final climb of the stage. Aru now peddles swiftly ahead at a 6 second advantage over Froome, and 25 seconds ahead of third runner up, Romain Bardet. Bardet Romain is the winner of the 12th Stage of the 2017 Tour de France. Aru finished third. 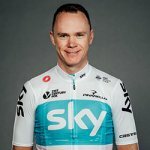 Froome seemed gloomily downtrodden after the disappointing performance, saying that he simply did not have the legs to finish what his teammates had started. This after fellow Team Sky members had placed Froome in the ideal position for a stage win. Froome concluded by saying that the Tour would be a fight from this point onwards – all the way to Paris. Kiwi hope George Bennett, riding for Team LottoNL-Jumbo, finished in eighth position – securing 9th place overall. Bennett seemed truly elated, and just a bit surprised, saying that he was eventually sure that he could ride with the best of them. 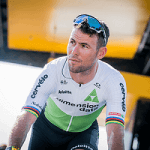 Having had a great stage on Sunday as well, Bennett admitted to having been concerned that Sunday was merely an exceptional day, a stroke of luck if you will, with a repeat performance not being a likely event on the cards. The beginning of 2017 wasn’t kind to the New Zealand rider, who had contracted a bout of glandular fever, but thankfully his luck seems to have turned. George Bennett counted among three riders to have taken late feeds during the 12th stage – with only two of the three punished by penalty. Stage winner Bardet was the third leg of the trio, and the lucky leg at that – having escaped being penalised despite video footage clearly showing him breaking the rules. This only nine days after Peter Sagan’s expulsion from the Tour – a controversial decision by the UCI that has taken a lot of rap for being deemed extreme. Luckily for Bennett, even if the jury’s seemingly partial penalty were to be enforced, he would still retain his 9th overall position. 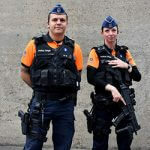 Whether the jury had simply decided to turn a blind eye where Frenchman Bardet was concerned, we’ll never know, but seeing is believing and video footage never lies.